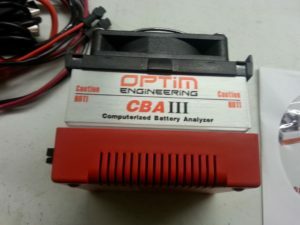 The club owns a West Mountain Radio CBA III Computerized Battery Analyzer that performs capacity tests on all types of batteries. Thanks to Dave Webb, N9AIG, and TJ Sheffield, KL7TS, the analyzer has been pressed into service. To be clear, Dave is doing the grunt work! 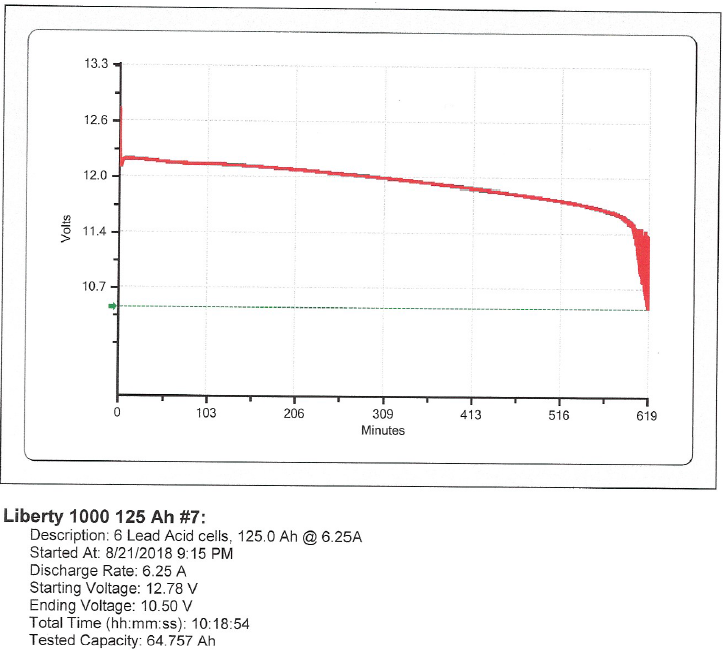 To evaluate a battery, we need certain parameters about it including the manufacturer, capacity in Ah (typically the 20-hour rating), number of cells, nominal voltage, battery serial number, and the battery datasheet. We use this tester to evaluate batteries owned by the club, but we’re also offering to evaluate batteries owned by our members. As this page is being built, we’ve got a pretty big backlog to get through at the RSOC, so please have some patience. Click here: “Request Battery Analysis” to get on the list to have your battery(ies) evaluated. We’ll be in touch to let you when we can get started on them. 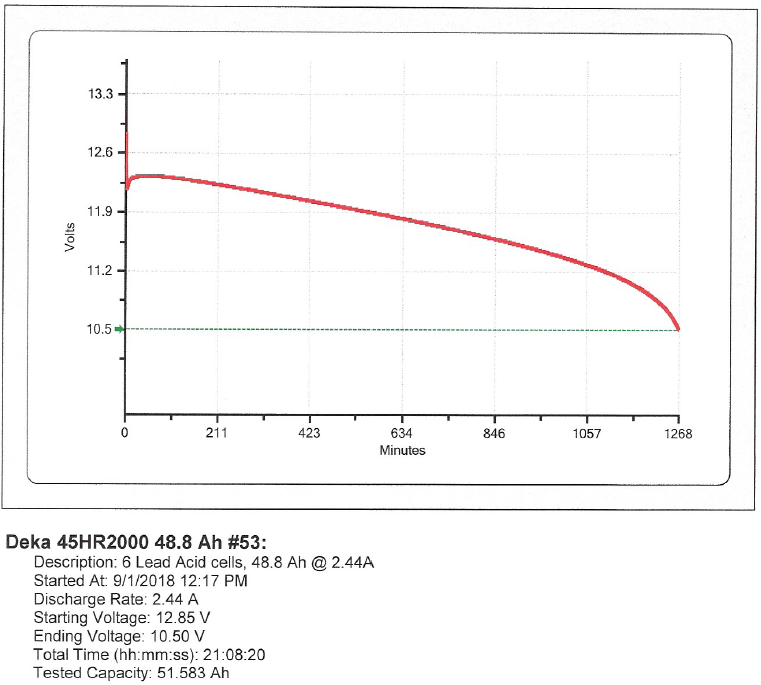 Take a look at some results from batteries we’ve tested at the RSOC below.